The new study claims that now hair can grow without any side effects! 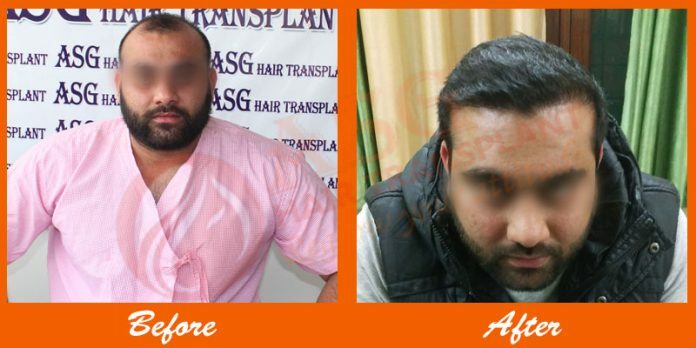 For restoring the confidence and crown glory, hair transplantation was the only option for the people as it is minimally invasive procedure that could give natural looking hair that grow for rest of life but there are some side effects of this procedure like scarring, bleeding, mild pain, bad results of surgery in rare cases but now new study has ignited one new hope for the disappointed hair loss patients that they can have their growing hair back without choosing hair transplantation and without any side effects. As per the claims of the study, researchers have found the new drug to treat the hair loss that was initially used to treat bone disease, osteoporosis but now it can be used to stimulate the hair growth. This drug targets the protein that become a hindrance for the growth and development of many tissues including the hair follicles as a result of which hair get shed but by targeting the problematic protein this drug help the patient to have significant hair growth. As per the researchers, this new agent can work effectively to promote the hair growth as it is having the translational potential so is really blessing for the patients of hair loss. In the study, researchers tested the compound WAY-316606 for the growth of hair as it was originally being used to treat the osteoporosis. There are already some medications available in the market like minoxidil that can work to control the pattern hair loss but the effect of these drugs is limited and even these are having some side effects in the long run. 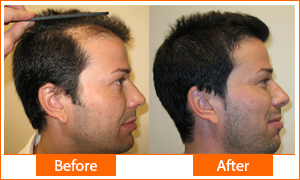 That is why people choose the hair transplantation to restore their hair for a lifetime. Therefore researchers have found the new drug that could grow human hair without side effects. This drug is really new hope for the disappointed patients that are suffering due to hair loss but could not choose surgical option due to some fear o surgery or budget. For testing, this new agent study was conducted over the 40 patients of hair loss and after the experimentations; the researchers had satisfactory results so they conclude that external application of this new compound can promote hair growth without causing any side effects or complications. Thus, it is really very good news for the people that have to compromise with their bald patches as now they can have their hair back without any risk of side effects. However, the researchers have given relevant results of this compound yet clinical trial of this agent is pending so only after the clinical trial doctors or the hair specialists can give approval or stamp for this drug to use for the stimulation of the hair growth.